The number of Chinese studying abroad grew at a slower rate in 2018 compared with 2017, as more students have come to realize that overseas study does not necessarily guarantee a well-paid job on foreign shores, or back home, education experts said. For students graduating with four-year degrees from China's top 100 schools, monthly salaries range between 6,000 and 9,000 yuan, according to a Guangming Daily report. 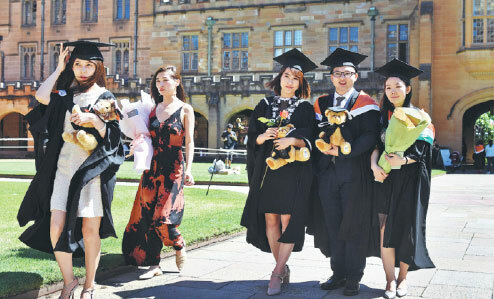 According to the 2018 Report on Chinese Students' Overseas Study released by New Oriental Vision Overseas Consulting Co and Kantar Millward Brown, about 78 percent of Chinese students abroad planned to work in China either right after graduation or after working overseas for a while, compared with 58 percent in 2016.